I met with the florist for my wedding tonight (which was really exciting) and on the way home, I witnessed a beautiful sunset behind the city as I drove across one of the many bridges of Pittsburgh. By the time I reached home, the sun had disappeared but I was still inspired to take a little solo walk through the park before heading home. I’m glad I did, because the colors are really transforming around here. 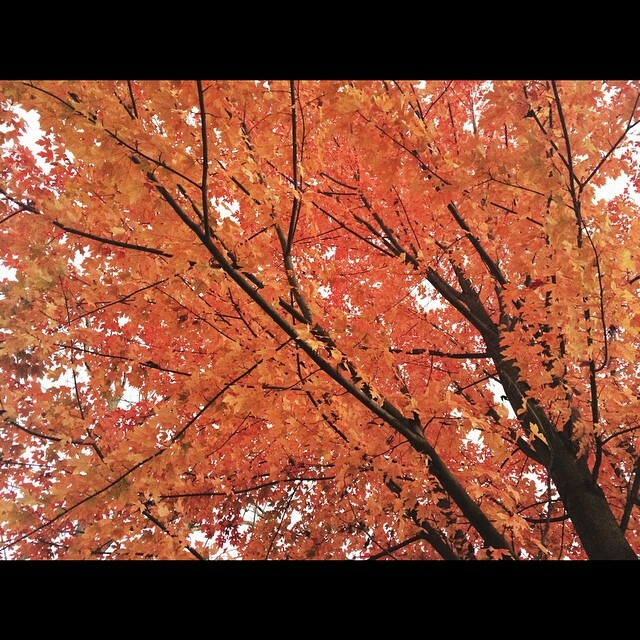 Fall is my absolute favorite season (me and half of the planet). But working and living in the city, I don’t often get the opportunity to really witness the changing of the leaves like I used to. It was chilly, and I unfortunately did not have a coat or even a sweater with me, but I didn’t mind. The damp ground was contrasted with crisp fallen leaves that crunched as I strayed from the winding path. A black, shaggy dog happily bounded through the coat of leaves shed by the trees as his owner jogged at his side. Somewhere in the distance, I heard a solo coaching lesson between a father and his young son. The occasional crack of a baseball echoed over the hill, followed by a singular cheer. 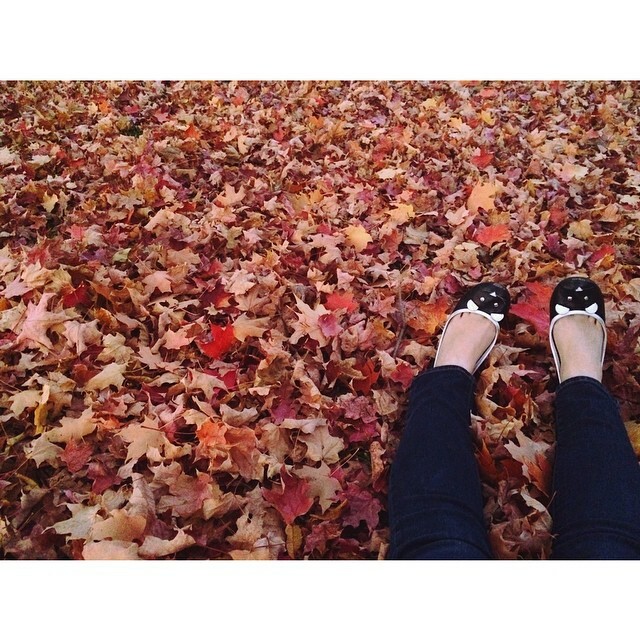 I ended my walk by sitting in a dry sea of leaves. It reminded me of being a kid and spending hours in the cold to rake all the leaves in our large yard, only to spend the next hour bouncing in and out of them, scattering everything to the wind again. I sat among those leaves, by myself, as the day came to a slow end. I’ve had a lot on my mind and heart lately. But in that moment, it felt right to just be alone and to enjoy the moment for what it was. I didn’t need to dwell on everything from yesterdays.